There are a number of issues involved in transporting cremated human remains. Getting from point A to point B may require a lot of decisions and will be best achieved by planning well in advance. A variety of documents (death certificate, certificate of cremation, various authorization forms, etc.) 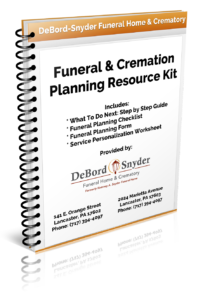 will be required, and you may need to involve a licensed funeral director in sending and/or receiving the cremated remains. The following is intended only as an overview of the process…a place to get you started…and not as a comprehensive documentation of all requirements. USPS — The simplest and most straightforward approach — but only for transporting within the United States — is to ship via U.S. Postal Service. You should ship by express mail, using the registered mail option with return receipt requested, AND indicate the contents on the outside of the package. Human ashes are permitted to be mailed provided they are packaged as required in 463b. The identity of the contents should be marked on the address side. 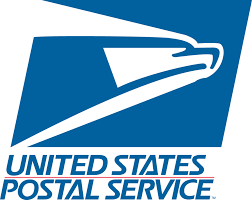 Mailpieces must be sent registered mail with return receipt service. 453 Packaging and Marking The following conditions apply: …. b. Powders. Dry materials that could cause damage, discomfort, destruction, or soiling upon escape (i.e., leakage) must be packed in siftproof containers or other containers that are sealed in durable siftproof outer containers. NOTE: UPS, FedEx and DHL do not handle the transport of cremated remains. Check with the airline to determine their exact policies on either shipping or handling as luggage. You can find this information by searching the airline website for “cremated remains”. To see two policies, click Southwest or American. 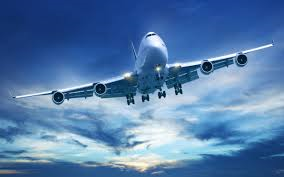 NOTE: Some airlines will not accept cremated remains in checked luggage, while others may only accept it as checked luggage; some airlines require seven days notice before shipping if handled as air cargo, and in all cases the contents should be identified as cremated human remains. Review the Transportation Security Administration requirements — click here – which require that the container must be scannable (a container returning an opaque image will not be permitted through security … either for checked luggage or for carry-on luggage). Carry the death certificate, certificate of cremation, or other appropriate documentation with you (and consider attaching copies to the container). Contacting the Embassy(ies) for the country you are taking cremated remains to or from; identify their specific rules and legal requirements. NOTE: You can often find this information on the website for the country…but it may also require a call. Allow even more time for the process — two weeks at a minimum — as there can be a number of steps involved. We hope this guide has been useful to you. It can be a frustrating process to try to transport the cremated remains of a loved one, but it is useful to understand that the rules and requirements often have a basis in ensuring proper care for your loved one’s remains as well as abiding by local customs and traditions. Be patient, and your patience can be rewarded by a positive experience in getting your loved one to the proper destination.